paperback, sent by the publisher -- thanks! 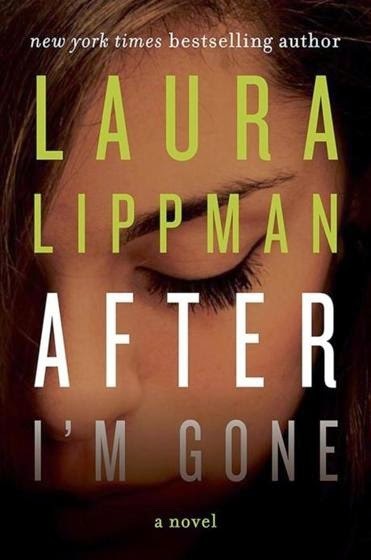 After I'm Gone is the first book I've read by Laura Lippman, an author with eighteen published novels, a collection of short stories, and one book scheduled to be published in February of 2015. After I'm Gone is a standalone novel, not part of her ongoing series, although PI Tess Monaghan does make a very brief appearance in this book, albeit unconnected to the story at hand. It is less a crime novel than a family saga, and when all is said and done, the novel reveals how a single moment of decision can have effects that continue to reverberate through time. Felix Brewer has done pretty well for himself -- he's a successful bookie who has a few other shady side businesses as well as a legitimate enterprise, a small coffee shop. He is married to Bambi, with whom he has three daughters, but Felix also has a few women on the side. One of these women is Julie Saxony, a stripper who goes by the moniker Juliet Romeo who is in love with Felix and hopes that someday he'll leave Bambi for her, even though Felix has always been up front about no divorce. In 1976, after Felix is convicted for his criminal activities, rather than face prison, he just takes off, without a word to his family. Ten years to the day after he leaves, Julie Saxony disappears, and it's assumed that she's gone off to be with Felix. However, some years later, her body is discovered in a park. 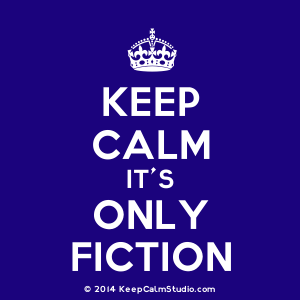 While the publicity surrounding Julie's death dredges up the whole Felix story again, the killer is never found and the case just sort of goes nowhere. Now, in the present, a cold-case consultant and retired detective named Roberto "Sandy" Sanchez picks up the cold trail, determined to solve the case. If this were the long and short of the story, I'd classify it solely as crime fiction, but as I noted, it's more of a long-term family drama. After I'm Gone actually examines the effects of Felix's disappearance from the points of view of the women in his life -- his wife, his daughters, and Julie Saxony, his mistress. Character, rather than plot, drives this novel that spans several decades, and Sandy, through his investigation, is there to tie things all together. The Brewer women limp by over the years, with Bambi, who has literally gone from riches to rags, shored up emotionally and financially by the daughters and supported by close family friends. In the meantime, Julie Saxony, who is strangely concerned with keeping tabs on Felix's family, is determined to make something of herself, up until the day that someone kills her. Considering that the word "thriller" is used in the back-cover blurb, I expected much more crimewise. While I'll admit that it was difficult not to become interested in their lives, I found that there are a number of chapters where I had to question the relevance to what is going on overall in the bigger picture of the crime. And then there's Sandy, who's trying to solve the case but really only gets only bit parts in this book as compared to everyone else. Even when we're in a Sandy chapter, there's more about his self-perceived failures in life than his police work. This gets old really fast. I liked Sandy and wanted to see more of him professionally, but that just wasn't the case. I also figured out the who way before the police did, which is kind of sad, considering the possible number of suspects in this book. When all is said and done, I was drawn into the story, even though it's not nearly as edgy as the crime I normally read. I liked the multiple points of view approach and the long span of time that really lets the reader get to know the characters. I'd recommend it to people who enjoy crime writing on the lighter side, and to people who are happiest reading character-, rather than plot-driven novels. My thanks to TLC book tours for offering me a look into this novel. This is a tour, so many bloggers have offered their take on this book, and you can find them all here. I hope you'll give another of Lippman's books a try now that you've read this one.